Um, anyone who actually wanted to be president and had made $1.6 million lobbying for Fannie Mae and Freddie Mac would have come up with a better defense of it by this point than Gingrich's two-pronged "government-sponsored entities do lots of good things" and "I was a national figure doing just fine so I couldn't have been a lobbyist" line of attack. Clearly it's more important to Gingrich to insist on his righteousness than to come up with a defense that might sound semi-plausible, even if it had the collateral impact of conceding he did something slightly dodgy. 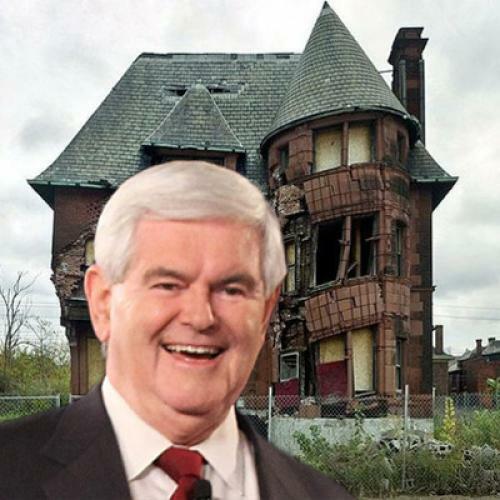 I'm fairly certain that last night's excruciating (for Gingrich supporters) Fannie/Freddie exchange officially doomed him as a candidate. Well, that's not entirely true. I think his candidacy was already doomed, but this made the doomed-ness really hard to deny.